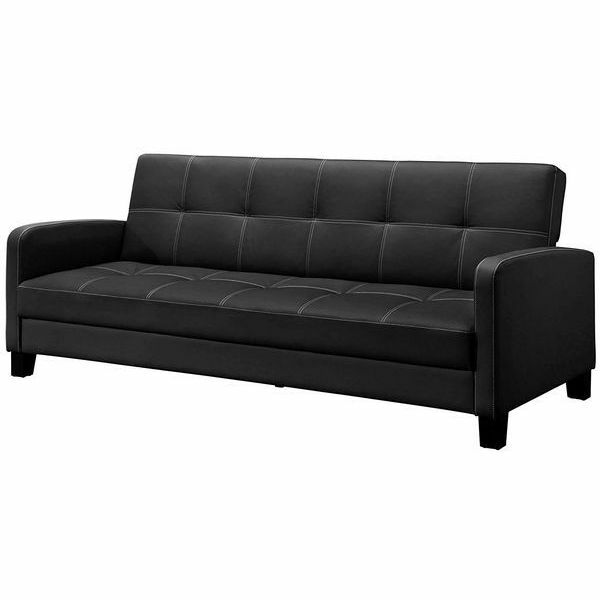 Save space in your studio apartment or your guest space with the DHP Emily Futon Couch Bed. The couch bed features a modern design with its neutral colors, button tufting and silver-toned metal legs that have a mid-century style design. The furnishing can sit up like a couch or lay down flat like a bed. Elegantly disguised as a simple couch, the DHP Lodge Convertible Futon Couch Bed transforms when you need it into a comfortable space to sleep. The piece features a comfortable seat and back cushion, with the back cushion featuring beautiful button tufting. It sits atop ultra durable, thick wooden legs. Made to look like a simple traditional sofa, the Novogratz Brittany Sofa Futon can make the most out of your small or studio apartment. 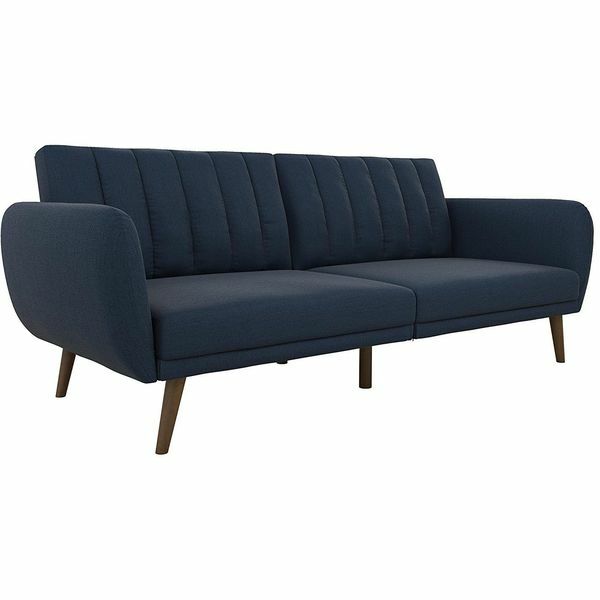 The Novogratz Brittany Sofa Futon sits on a sturdy wood frame that supports a rubbed, tufted cushion for you to sit against or flatten and lie down against. If you like more of the one piece look with futons, you should give this one a shot. 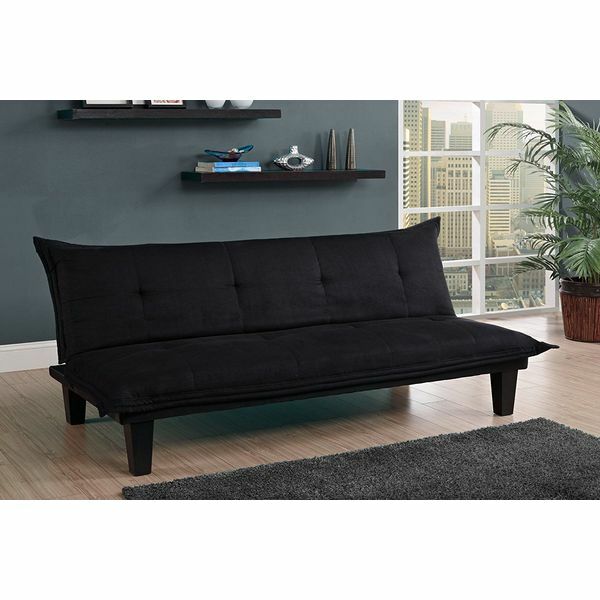 You will find that the black mattress combined with the black frame make this look like the two are connected a little better than other futon sets. The mattress on this frame is still constructed from the ever durable and comfortable microfiber material that many other modern futons feature. Finally, the adjustable back will give you plenty of support, and it will adjust to the angle you are looking for regardless of what you are using the futon for. 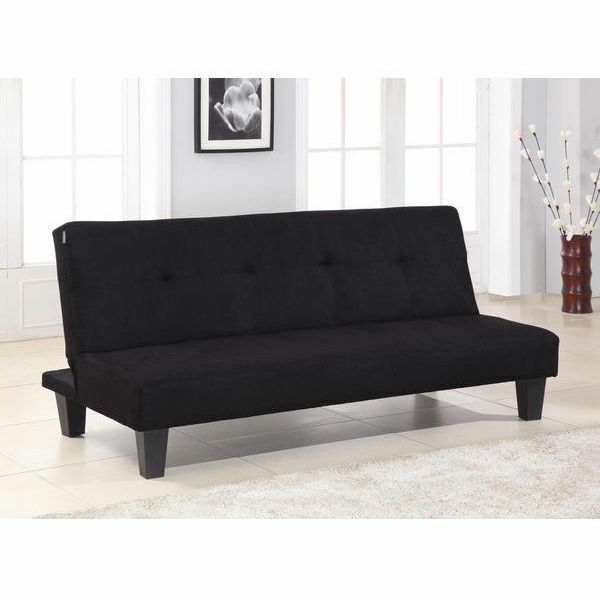 This futon features a classic look, but it still features many of the modern amenities that you demand out of today’s futons. The base is constructed from a dark-brown wood, which gives it the classic look you desire, yet it will still give you plenty of support for years of use. The cushioning is extremely generous, so sitting or sleeping on this futon will not leave you with a strained back as many futons from a few years ago would have done. 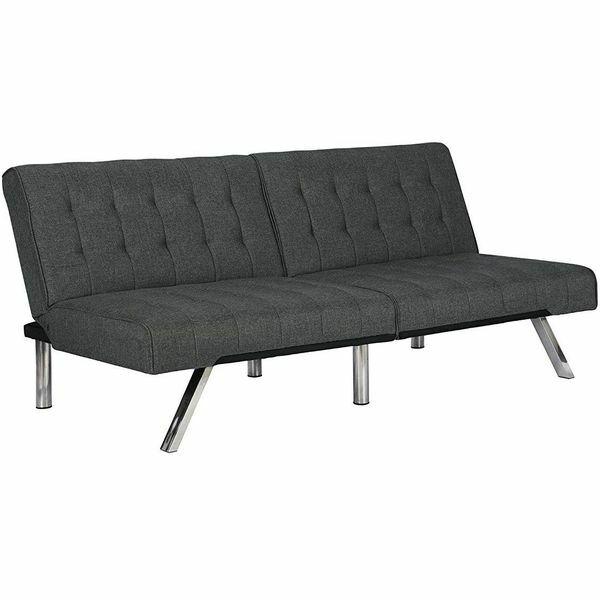 This is one futon that would look great sitting in your front room. 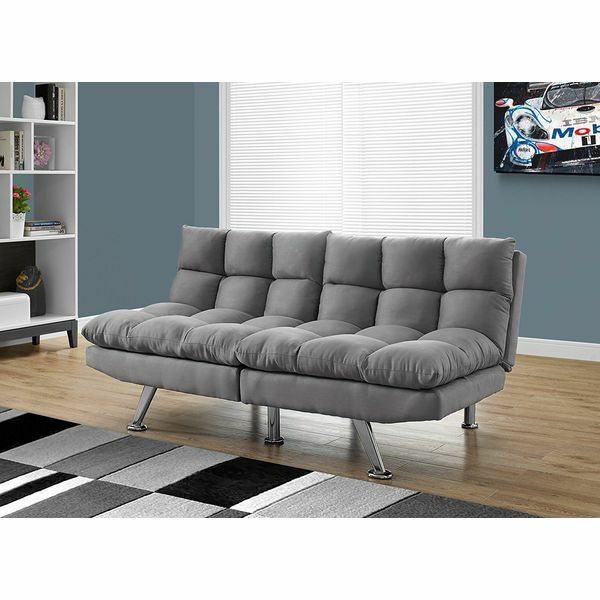 Ultra plush and comfortable, the stylish Split Back Click Clack Light Grey Micro Suede Futon is just as comfortable to sit on as it is to sleep on. It measures 70 inches in length by 42 inches in width by 19 inches in height and has a split back design that lets you relax in multiple positions.